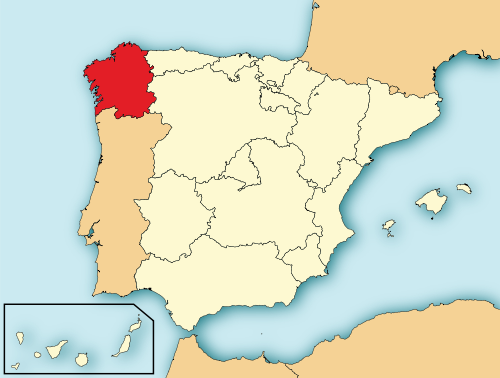 The Galician parliament unanimously approved the consideration of a draft law of a popular initiative calling for greater weight of the Portuguese language in the Spanish autonomous region. More than 17,000 Galicians signed a petition for more "access to the wealth of the Portuguese language". The initiative now passed puts into consideration the teaching of Portuguese in Galician schools, better use of the language in Galician public institutions, transmission of TDT (Televisao Digital Terrestre) television channels from Portugal, and access to national radio frequencies from the other side of the border. There is still no timetable for the proposal, which advocates the introduction of the Portuguese language at all levels of education, to become law, but Xosé Carlos Morell (the proponent of the initiative, known as Iniciative Paz Andrade) believes that a four-year period would be reasonable for the implementation of Portuguese in Galician schools. Looks like the Facebook page for the initiative is here.